RUSH: By the way, Trump has, according to CNN, Trump has ordered the memo to be released right after the State of the Union tonight. We’ll see. Back to the phones. John in Indianapolis. Welcome, sir, to the EIB Network. Hi. CALLER: Mr. Rush, fine cigars and a big smile because Al Franken won’t be at the State of the Union Address to you today, sir. RUSH: A lot of other Democrats are not gonna be there, either. CALLER: That’s correct. And that’s the gist of my call. What do you think about those people? We got John Lewis, Frederica Wilson, Maxine Waters, some clown from Oregon and Ruth Shovel-Ready Ginsburg not attending. I don’t think this will end well in the long run. RUSH: Well, whoa, whoa. End well for who and how? CALLER: The Democrat Party, because it just says a lot. It says a lot, that’s part of your gig, to go there, listen to what the president says, take it back to your constituents and show what he says. But they just choose not to attend. That’s wrong. RUSH: I think that all of these people that you mentioned, Maxine Waters, what’s the other one, there’s a bunch of them out there, I think that this is simply a play to their voters, it’s a play to their audience. You know, Maxine’s become a rock star in this cuckoo’s nest bunch of lunatics that believe what she says about Trump. And Maxine Waters, whatever she is, 95, this is the first time in her life she’s ever had any kind of a celebrity existence. She has become a star, and I guarantee you, if you’re not prepared for that and you don’t have any humility about it, it can totally skew your perception. And I think that Maxine not showing up is simply an opportunity to express her bona fides as a Trump resistance specialist. This is all about connecting with Democrat voters. This is not about going and listening to the president, showing respect because the American people think that’s what the occasion deserves and then taking what the president said back to your voters and explaining to them why it’s good or bad. That’s not what this is about. All of this is being done — why do you think there’s a stock market sell-off? I have a theory. The Dow Jones Industrial Average, let me just check here real quick. I want to get the exact number. We are down 352. We’ve been down as much as 400 today on the Dow Jones Industrial Average. 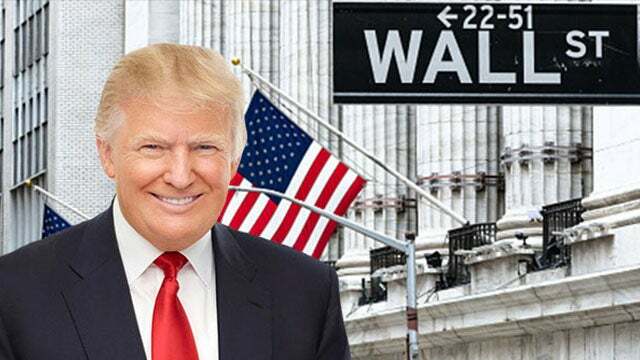 I’m not saying that I know this with ontological certitude, but I’m just gonna tell you that I would not be surprised at all if a bunch of wealthy libs decide to take some profits yesterday and today to create the stock market plunge so that Trump doesn’t have a roaring stock market on the night of his State of the Union Address. And once they take their profits and the prices of the stock obviously go down, they repurchase them at a cheaper price and make some more money. There’s some profit taking going on here. But this is being made to look, the timing of this, it’s happening on the day of Trump’s State of the Union? And there’s Drudge headlining it first thing above the fold, “Dow Plunges.” Right underneath that, “Feds Probe Apple.” Ah. The SEC’s investigating Apple over their admission that they throttled back processors on some old phones. I mean, they’re gonna get Apple if it’s the last thing they do. The tech journalists are gonna get Apple if it’s the last thing they do. Anyway, so here’s Trump’s State of the Union, and for the first time in a year and a half the market is plunging, “oh, no! Oh, no!” It wouldn’t surprise me if, as I say, a bunch of rich leftists like Tom Steyer, although I don’t want to name names, but just decided to take some profits for a day to create the plunge, make it look bad for Trump.